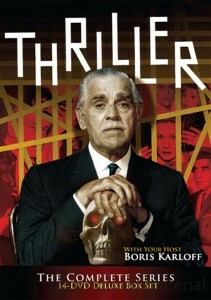 Image Entertainment pays the proper respect to one of the great television anthologies with the sterling 14-disc presentation of Thriller: The Complete Series on DVD. 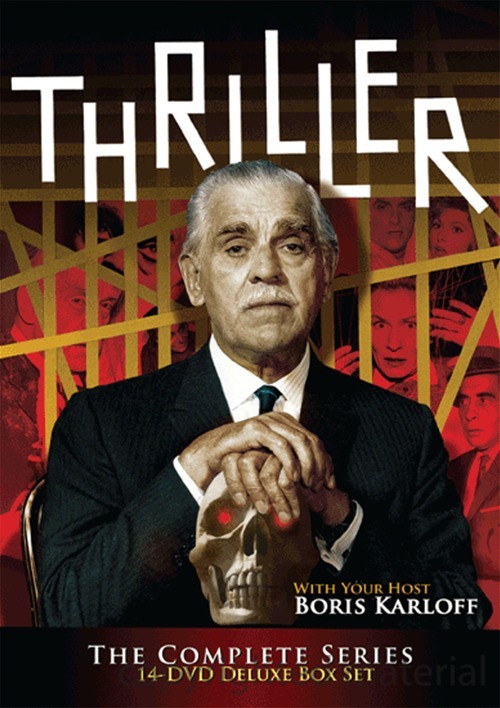 Not as popular as The Twilight Zone or even The Outer Limits to which it’s usually but unfairly compared, Thriller was the most richly literary of the three TV shows, trafficking in not just horror tales, but suspense yarns, mysteries and crime thrillers as well. 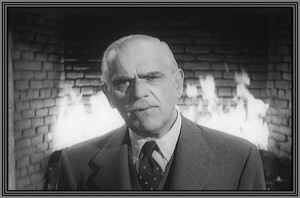 Hosted by Boris Karloff (who often appeared in the episodes’ stories as well), Thriller rans for two seasons from 1960 to 1962, yielding some 67 episodes starring many of the rising stars of the day, including Robert Vaughn, Richard Chamberlain, Marlo Thomas, Rip Torn, and Gilligan’s Island’s Russell Johnson and Natalie Schaeffer. All those episodes are here, uncut and remastered to their original, evocative black-and-white splendor (though there’s something to be said about our memories of watching scratchy prints of the show on late-night TV back in the 1970s). Nearly half of the episodes include full-length commentaries by filmmakers, writers and actors who were fans of the show. They all genuinely appear to enjoy talking about the episodes that have influenced them or at least left some sort of impression. Of the actual episodes, everyone has their favorites, of course. But as we’re in the position to tell you which ones we think you should check out first (along with their commentaries), we’re going to go with the Southern Gothic-styled “Pigeons From Hell” from season one starring Brandon De Wilde and David Whorf and with a commentary by screenwriter Gary Gerani (Pumpkinhead); season two’s “The Weird Tailor,” based on a short story by Robert Bloch (Psycho) and concerning a mysterious suit that can bring the dead back to life; and the second season’s “The Premature Burial” starring Sidney Blackmer as a cataleptic man who has already been buried alive once, with a commentary by filmmaker/TV director Ernest Dickerson and film scholar Tim Lucas. I would go with “Cheaters”, “Hungry Glass” and “La Strega” first. Are these double sided discs? It seems like an awful lot of stuff to cram on 14 discs. Hungry Glass…I like that one. Gorgeous photography and solid Shatner. Yeah, there’s a lot of material on 14 single-sided discs…five episodes per disc, generally. With each installment running about 47 minutes, it’s a little under four hours of episodes per disc…. Oh well, as long as you say they look good, I’ll stop worrying about it.